The loose concept is there but the execution is not in Pixels, the latest film to feature a phoned-in performance from Adam Sandler. Former arcade wizkid Sam (Sandler) hasn’t amounted to much, stuck in a rut as a divorced middle aged nerd. But when aliens misinterpret video feeds of 8-bit classics for a declaration of war, his unique talents are enlisted in an effort to save Earth. 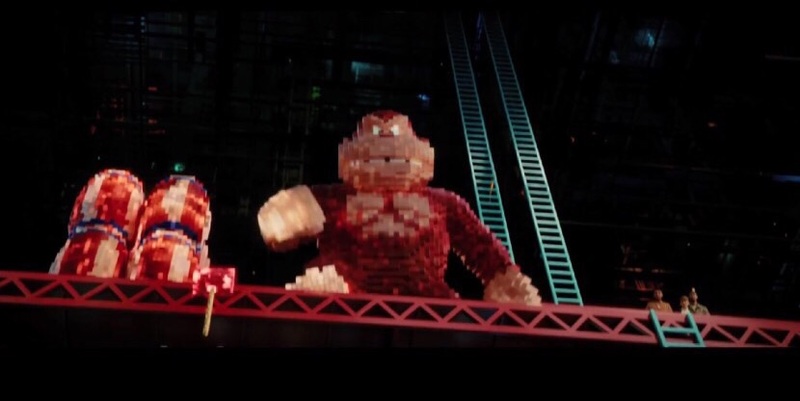 The visuals in this tonally and structurally erratic action comedy are tip-top, and it’s an undeniable thrill to see 80s arcade characters such as Pac Man and Donkey Kong causing mayhem. But there’s simply nothing underneath the sleek surface to warrant more than vague investment. It’s all inconsequential. The comedy lands awkwardly between childish and adult humour and the characters are paper-thin, in spite of tried efforts from supporting players Brian Cox and Michelle Monaghan. It’s not bad per se, and certainly never offensive, but the turned off expression pasted across Sandler’s face reflects what a lifeless, shallow snooze Pixels is. I tend to agree with you, based on what I’ve seen in the trailer for that movie. I didn’t really see any character development possibilities, and the story line seemed flat, aside from the basic idea that video game characters are turning against people. Thanks for the review though, I appreciate hearing your opinion!